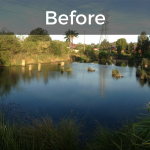 Cup and Saucer creek was once a natural, sandstone creek line until its conversion into a concrete channel throughout the 1940’s. 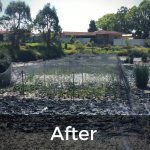 Whilst concrete drainage channels provide improved storm water drainage in residential areas, they also rapidly transport pollutants into associated water bodies. 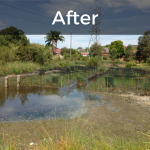 In 2010, Sydney Water set out on a large scale project to naturalise poor condition concrete channels. 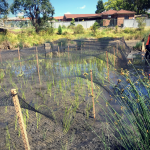 The project broadly aims to restore the ecological integrity of the nominated creeks, improving water quality and generally recover the natural character of the catchments. 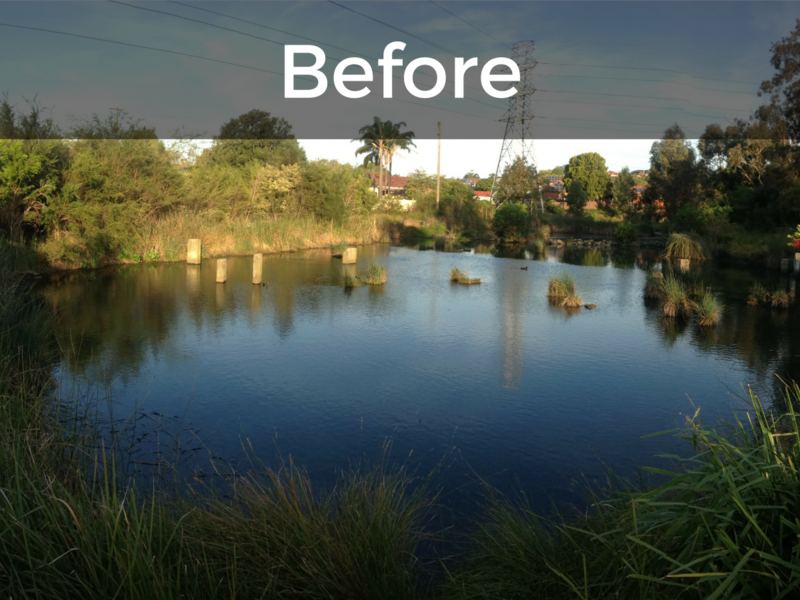 Cup and Saucer Wetlands is a constructed wetland built in the early stages of Sydney Water’s Cooks River Naturalisation Project. 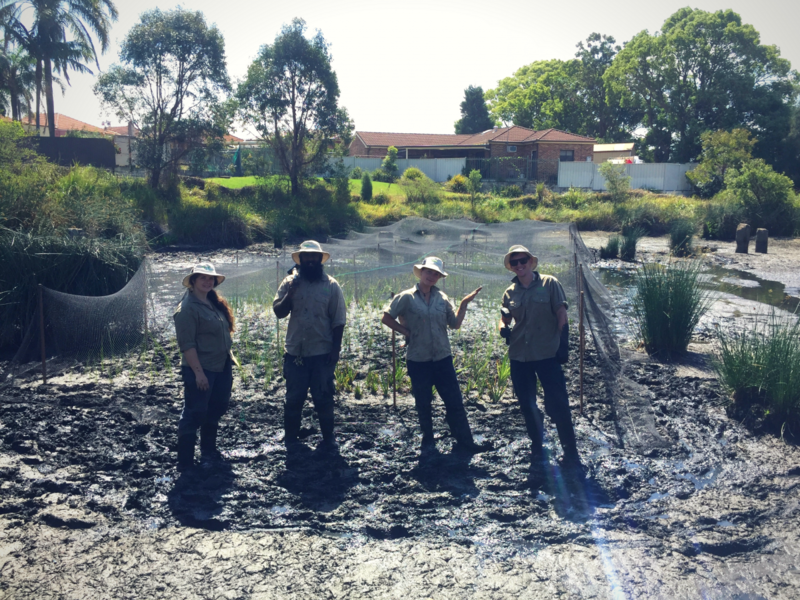 The wetlands are fed by slow flowing water from the Cup and Saucer Creek and provides significant habitat for local birds and aquatic fauna. 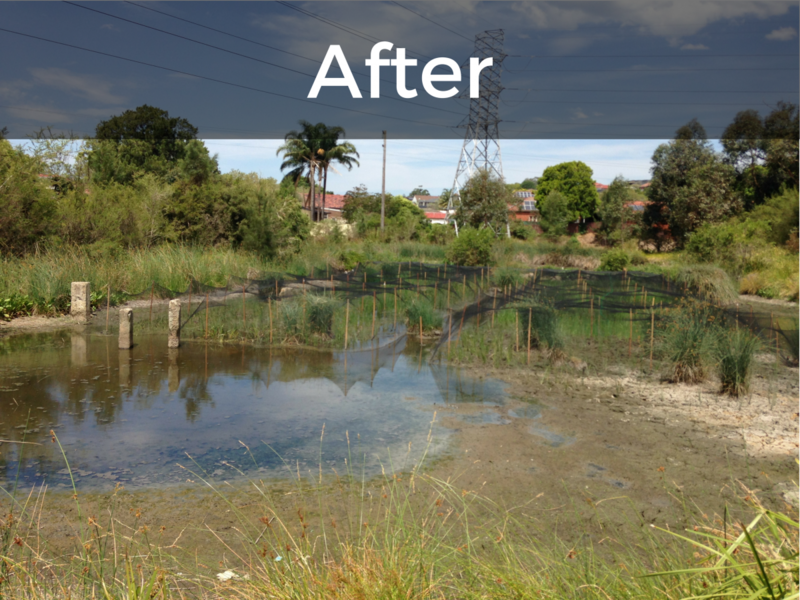 The wetlands were designed to capture sediment and remove pollutants such as nitrogen and phosphorus from the catchment. 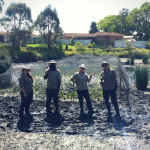 Low flowing water enters the wetlands where sediment settles to the bottom and then passes through 4 heavily planted pools where plants and bacteria remove pollutants, before it re-enters the creek and the Cooks River. 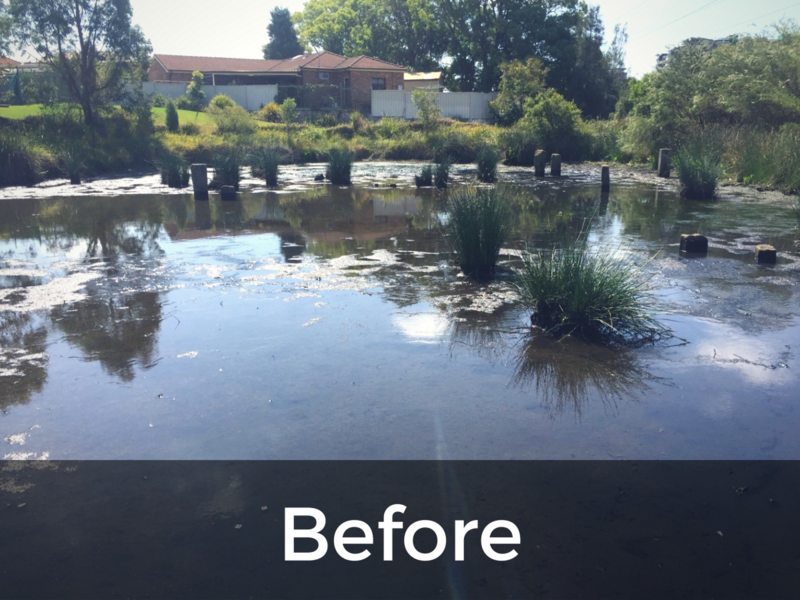 Dragonfly Environmental were engaged by The City of Canterbury-Bankstown Council to increase the aquatic plant density of the Cup and Saucer Wetlands. 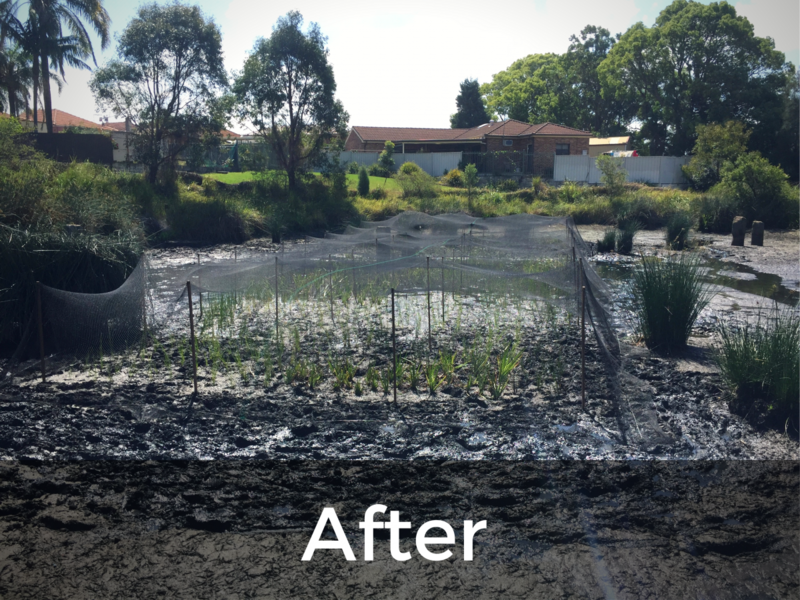 Dragonfly Environmental supplied and planted a diverse range of native water plants with the aim of increasing plant coverage and species diversity. 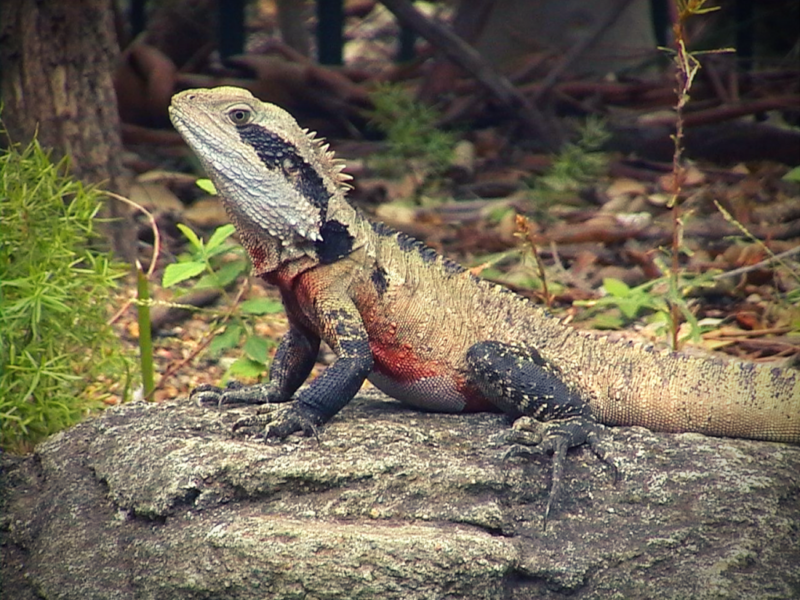 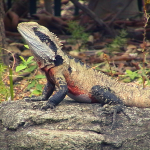 Increased plant cover and diversity is projected to improve the wetlands’ function as a water filter for pollutants and to result in a large increase in available habitat for native fauna including water dragons and dragonflies. 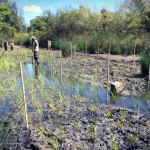 Past planting in the wetlands were limited by a number of factors including foraging waterbirds and related disturbance, leading to poor plant establishment. 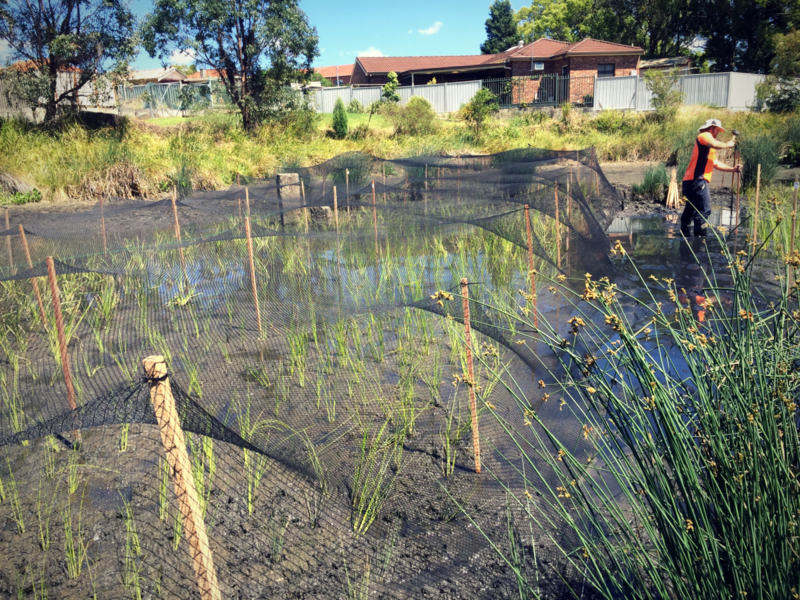 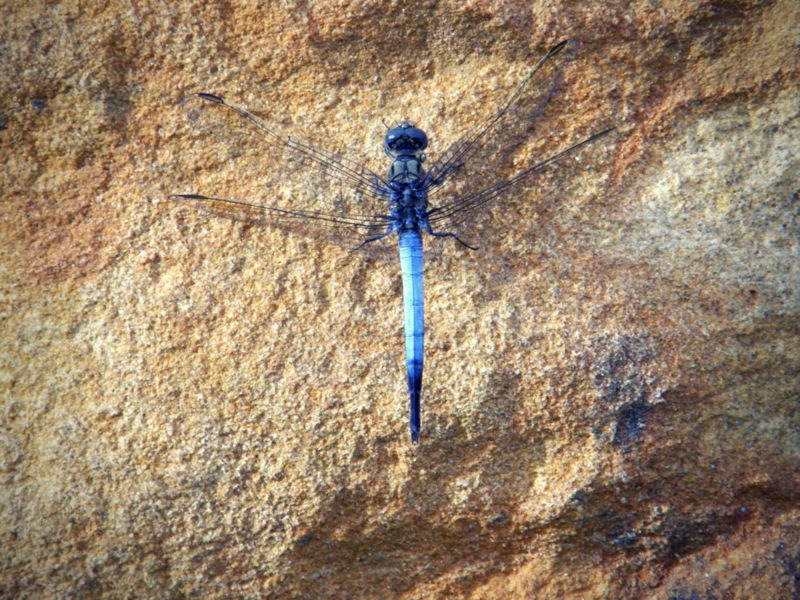 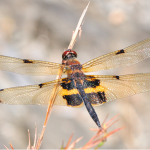 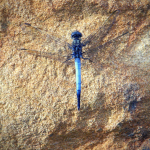 Dragonfly Environmental installed robust bird netting to inhibit bird predation and to aid in the germination of the native aquatic seed bank contained in the sediment. 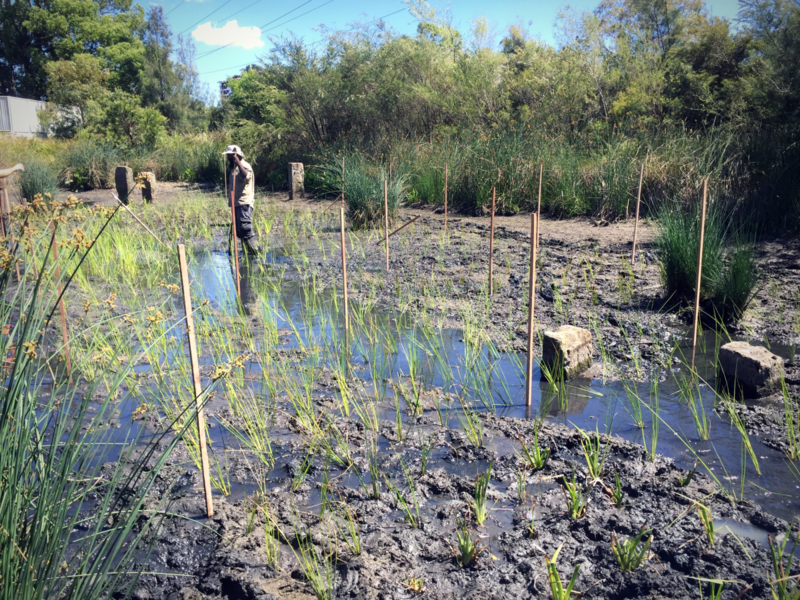 Initial plant establishment has been a success and we are looking forward to watching the wetland develop. 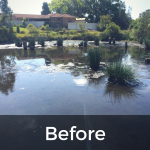 We are optimistic about future water quality outcomes as a result of the planting project. 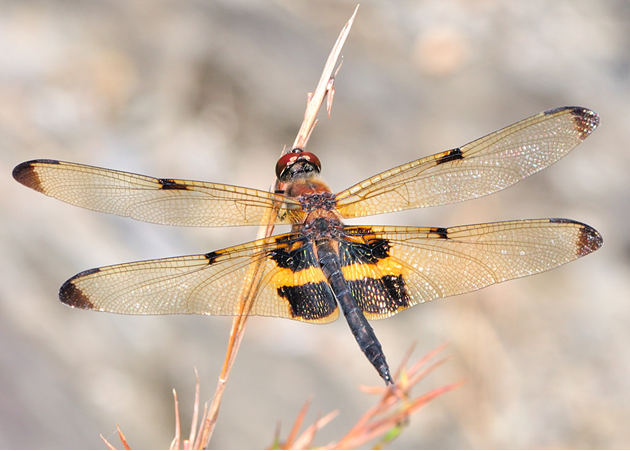 For more information on our planting services call us on (02) 9918 4486 or email us at contact@dragonflyenv.com.au.